WPT and blockchain company FansUnite are partnering to provide promotions throughout Europe and Asia. Cryptocurrencies are all the rage these days, especially in the poker world. 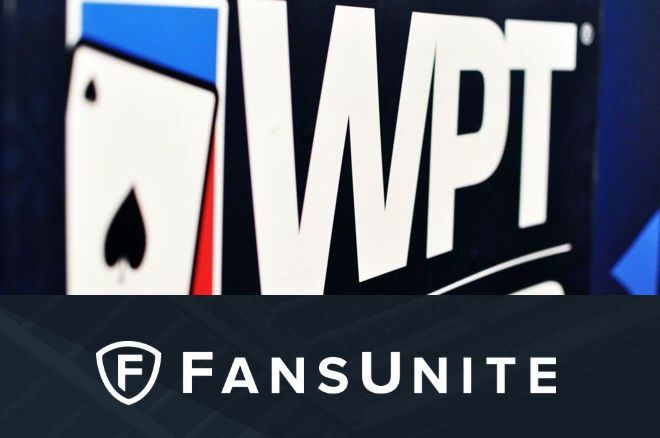 It seemed a matter of time before a major poker outlet ventured into that world, and that’s exactly what the World Poker Tour (WPT) is doing by partnering with FansUnite Entertainment Inc., a blockchain sportsbook. By becoming an “official partner” of the WPT, FansUnite will be integrated into a multitude of offerings including spots episodes of WPT Season XV as they air across Europe. Additionally, FansUnite will be showcased via “Plays of the Week” on Heads Up Daily (HUD) on Super Channel in Canada, social media cross-promotion, on-site promotions, giveaways, and contests at WPT events throughout Europe and Asia. Finally, there will be joint WPT and FansUnite promotional tie-ins with the English Premier League’s Leicester City Football Club, which is an official partner of FansUnite. “We are thrilled to introduce FansUnite to the WPT’s millions of poker players and fans across the globe through television, digital media, live events, and more, and we look forward to furthering strategic partnership integrations and activations with FansUnite,” said WPT CEO Adam Pliska. FansUnite Protocol serves as the blockchain-based infrastructure for sports data applications, daily fantasy sports and a variety of other applications reliant on sports data. Blockchain is billed as a game changer across multiple industries thanks for its links cryptographic hash, which serve as a timestamp of data that cannot be altered or modified. Blockchain has been called a game changer, but does that apply to poker? PokerNews had the opportunity to ask FansUnite in what ways it might impact the game in the future. "Blockchain is going to have massive ramifications for all stakeholders in the casino gaming space,” said Eghdami. “Currently, poker players rely on the goodwill and reputation of the sites they choose to play on - to protect their deposited funds, conduct games fairly, and payout when the player decides to withdraw. The blockchain is changing this paradigm." It's that outlook and optimism that caught the attention of the WPT.